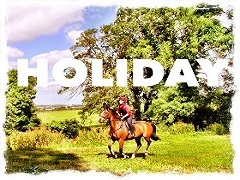 Travelling between Dublin Airport to our Equestrian Centre just became easy. 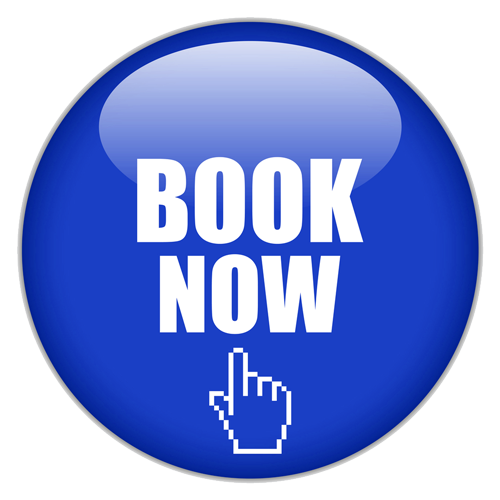 Simply select "SINGLE" or "Collection & Drop Off" below to book your trip. Flight number - This usually starts with one or two letters with several digits following i.e. EI123, FR4567 etc. You can find this on your boarding pass, flight confirmation email and on the plane ticket. This information helps us track the flight even if it is delayed or running ahead of schedule! This is your guide to how personal data is managed by COOLMINE EQUESTRIAN CENTRE / CEAD. Data privacy is taken very seriously at COOLMINE EQUESTRIAN CENTRE / CEAD. It is important that you know exactly what we do with the personal information you and others provide to us, why we gather it and what it means to you. COOLMINE EQUESTRIAN CENTRE / CEAD provides services in the Equine industry which include, but are not limited to, livery for horses, riding lessons, education for British Horse Society examinations and qualifications, residential riding holidays for children, pony camps, guided hacking out in public forests and on public roads. COOLMINE EQUESTRIAN CENTRE / CEAD is a member of AIRE (Association of Irish Riding Establishments) and the British Horse Society and manages its business in conformity to accepted best practice. It manages data as required under regulation by the Data Protection Commission and other legislation. These are the services referred to in the policy below. Since COOLMINE EQUESTRIAN CENTRE / CEAD offers services to minors, it is obliged under law to comply with child protection legislation. This document outlines our approach to Data Privacy to fulfil our obligations under the General Data Protection Regulation (2018). *This notice applies to all our products and services. If you have any questions about how your information is gathered, stored, shared or used, please contact COOLMINE EQUESTRIAN CENTRE / CEAD. Throughout this document, “we”, “us”, “our” and “ours” refer to COOLMINE EQUESTRIAN CENTRE / CEAD. There are a number of reasons for gathering information about you. For instance, we need to know how to get in touch with you, we need to be certain of your identity if you are a customer or if you are acting for someone else. We need to understand some your financial circumstances if you are a customer. The information we collect falls into various categories. Name, contact details, email address, work and personal phone numbers. We may also be required under law to seek proofs of identity such as copies of passports, utility bills, etc. Financial account details from those for whom we hold horses on livery or to whom we offer riding lessons or residential holidays. If you give us information about someone else (for example, information about a child), or someone gives us information about you, we may add it to any personal information we already hold and we will use it in the ways described in this Data Protection and Privacy Notice. Before you disclose information to us about another person, you must be sure that you have their agreement to do so. You need to ensure they confirm that they know you are sharing their personal information with us for the purposes described in this Data Protection and Privacy Notice. Information which you have consented to us using by disclosing it to us. Information which you have disclosed to us directly. Your agreement to allow us contact you through certain channels to offer you relevant products and services. Information from your online activities. Special category information including health data, family relationships, etc. If we do so, we will apply the principles outlined in this Data Protection and Privacy Notice when dealing with your information. As you use our services, make enquiries and engage with us, information is gathered about you. We may also collect information about you from other people and other parties, for example, when you use the services of another professional or business service provider. Whether we are using it to confirm your identity, to help in delivering our services to you or to improve your experiences with us, your information is always handled with care and the principles outlined in this Data Protection and Privacy Notice are always applied. To provide services to you, and to fulfil our contract with you. Establish your eligibility for the service being offered to you. Manage and administer the processing of the service being offered to you. Contact you by post, phone, text message, email, social media, fax, or other means, but not in a way contrary to your instructions to us or contrary to law. Monitor and record our conversations when we speak on the telephone (for example, to check your instructions to us, to analyse, to assess and improve customer service and for training and quality purposes). Recover debts you may owe us. To manage our business for our legitimate interests. Collect and enforce debts and arrears against customers. We may gather information about your interactions with us – for example, where you consent, we may gather information from your mobile phone or other electronic device you may use to interact with us. Conduct marketing activities, for example, running promotions and direct marketing (provided that you have not objected to us using your details in this way), and research, including customer surveys, analytics and related activities. Carry out strategic planning and business management. Compile and process your information for audit, statistical or research purposes (including, in some instances, making your data anonymous) in order to help us understand trends in our customer behaviour and to understand our risks better, including for providing management information, operational and data risk management. Protect our business, reputation, resources and equipment, to manage network and information security (for example, developing, testing and auditing our websites and other systems. Dealing with accidental events or unlawful or malicious actions that compromise the availability, authenticity, integrity and confidentiality of stored or transmitted personal data, and the security of the related services and prevent and detect fraud, dishonesty and other crimes (for example, to prevent someone trying to steal your identity). Manage and administer our legal and compliance affairs, including complying with our obligations to conform to child welfare legislation, regulatory guidance and voluntary codes of practice to which we may have committed ourselves. Enable our employees, servants or agents to share or access your information for internal administrative purposes, audit, prudential, statistical or research purposes (including making your data anonymous) to help us understand trends in customer behaviour, to help us to understand our risks better and for the purposes set out in this Data Protection and Privacy Notice (but not for the purposes of direct marketing where you have objected to this). We may in the future wish to sell, transfer or merge part or all of our business or assets or to buy a new business or the assets of another business or enter into a merger with another business. If so, we may disclose your personal information under strict duties of confidentiality to a potential buyer, transferee, merger partner or seller and their advisers, so long as they agree to keep it confidential and to use it only to consider the possible transaction. If the transaction goes ahead, the buyers, transferee or merger partner may use or disclose your personal information in the same way as set out in this Data Protection and Privacy Notice. Complying with financial services legislation. Complying with binding production orders or search warrants, and orders relating to requests for mutual legal assistance in criminal matters received from foreign law enforcement agencies/prosecutors. Performing a task carried out in the public interest. Send electronic messages to you about service offers from us. Use transaction history/account information from your COOLMINE EQUESTRIAN CENTRE / CEAD file to identify and inform you of services in which you have expressed an interest to us. When we ask for your consent, we will provide you with more information on how we will use your data in reliance on that consent, including in relation to third parties with which we would like your consent to share your data. Providers involved in organising and facilitating the completion of equine or leisure related services who will receive some of your personal data. This data will only be shared as necessary for the timely completion of the transaction. The data shared will vary, as required, but it may be any of the following, typically your name, contact details, or other agents’ details, proof of personal identity, etc. These include your, parent or guardian, or attorney (under a Power of Attorney) and any other party authorised by you to receive your personal data. Third parties we need to share your information with in order to facilitate our services to you. We may disclose your information to our agents and third parties for administration, regulatory, customer care and service purposes. Your personal information remains protected when our service providers use it. We only permit service providers to use your information in accordance with our instructions, and we require that they have appropriate measures in place to protect your information. Our service providers include (or may include), analytics companies, IT and telecommunication service providers, software development contractors, data processors, computer maintenance contractors, printing companies, archiving services suppliers, and consultants, including legal advisors. EU and other designated authorities. Sharing information with us is in both your interest and ours. Provide our services to you and fulfil our contract with you. We may not be able to provide you with certain services that you request. We may not be able to continue to provide you with or renew existing services. We may not be able to assess your suitability for a service, or, where relevant, give you a recommendation to provide you with another service. Its use is necessary in relation to a service or a contract that you have entered into or because you have asked for something to be done by us so you can enter into a contract with us. Its use is in accordance with our legitimate interests outlined in this notice. Its use is necessary to protect your “vital interests”. Where you have made public clearly sensitive categories of data about yourself. Your information may be stored electronically on secure systems by providers of secure information storage or by COOLMINE EQUESTRIAN CENTRE / CEAD. We may transfer or allow the transfer of information about you and our products and services used by you to our service providers and other organisations outside the European Economic Area (EEA), but only if they agree to act solely on our instructions and protect your information to the same standard that applies in the EEA. Those external organisations may process and store your personal information abroad and may disclose it to foreign authorities as required by law. Using companies to process your information outside the EEA. Adherence to the EU/US Privacy Shield. You can find more information on the EU/US Privacy Shield at www.privacyshield.gov including a list of all organisations that have signed up to the EU/US Privacy Shield framework. Please contact us for further details on any transfers of personal information to entities in the US. You have rights in relation to how we use your information. If you make your request electronically, we will, where possible, provide the relevant information electronically unless you ask us otherwise or it is more convenient to provide it in another format. Find out if we use your information, to access your information and to receive copies of the information we have about you. Object to particular uses of your personal data where the legal basis for our use of your data is our legitimate business interests (for example, profiling we may carry out for our legitimate business interests) or the performance of a task in the public interest. However, doing so may have an impact on the services we can / are willing or able to provide. Object to use of your personal data for direct marketing purposes. If you object to this use, we will stop using your data for direct marketing purposes. Have your data deleted or its use restricted – you have a right to this under certain circumstances. For example, when you withdraw consent you gave us previously and there is no other legal basis for us to retain it, or where you object to our use of your personal information for particular legitimate business interests. Obtain a transferable copy of certain data which can be transferred to another provider, known as “the right to data portability”. This right applies where personal information is being processed based on consent or for performance of a contract and the processing is carried out by automated means. The right also permits the transfer of data directly to another provider where technically feasible. Therefore, depending on the technology involved, we may not be able to receive personal data transferred to us and we will not be responsible for the accuracy of same. Withdraw consent at any time, if the processing is based on consent. If you withdraw your consent, it will not affect the lawfulness of processing based on your consent before its withdrawal. We are obliged to respond in most instances, within 30 days. If we are unable to deal with your request within 30 day we have a duty to inform you of this within the 30 day limit, and we may extend this period by a further two calendar months. Should this occur, we will explain the reasons why the delay has occurred. If you make your request electronically, we will, where possible, provide the relevant information electronically unless you ask us otherwise. You can contact the Office of the Data Protection Commissioner at www.dataprotection.ie , Data Protection Commission, Canal House, Station Road, Portarlington, R32 AP23, Co. Laois. We will update this Data Privacy Notice from time to time. Notice of any changes will be communicated to you and made available on this page and, where appropriate, notified to you e-mail. A rider with little or no experience. A rider who is comfortable and in control in walk and trot but has limited experience trotting or cantering. A rider who is confident and in control in all paces including rising trot and cantering, but with limited experience galloping or is not currently riding fit. An rider who is comfortable and confident to walk, trot, canter and gallop across easy terrain. Comfortable jumping small obstacles. An intermediate rider would be reasonably fit and able to enjoy a couple of hours in the saddle. An rider who is comfortable and confident to walk, trot, canter and gallop across all terrain. Comfortable jumping any obstacles. An advanced rider would be riding fit and happy to spend a couple of hours in the saddle or undertake more intensive cross country riding. All of our horses are ridden in English style. Western-type saddle experience is considered non-rider, without English riding lesson –one needs to be familiar with English saddles and comfortable with rising trot and canter. Please give us accurate information about your riding, health, weight and fitness and note that riders will be assessed in the arena before we leave the yard. If you are fit and not overweight, you will be safer, ride better and you and your horse will enjoy yourselves more. Weight limit for competent, fit riders: 16.5 stone / 224 lbs. Weight limit for novice, beginner riders: 16 stone / 231 lbs. Note: For heavier riders, we do have strong Irish cobs, heavy weight hunters and Irish Draught Horses. Please discuss when making the booking.